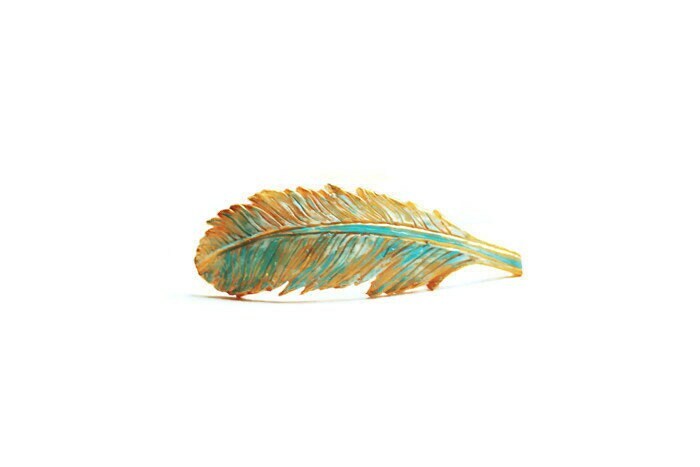 Graceful feather hair barrette. 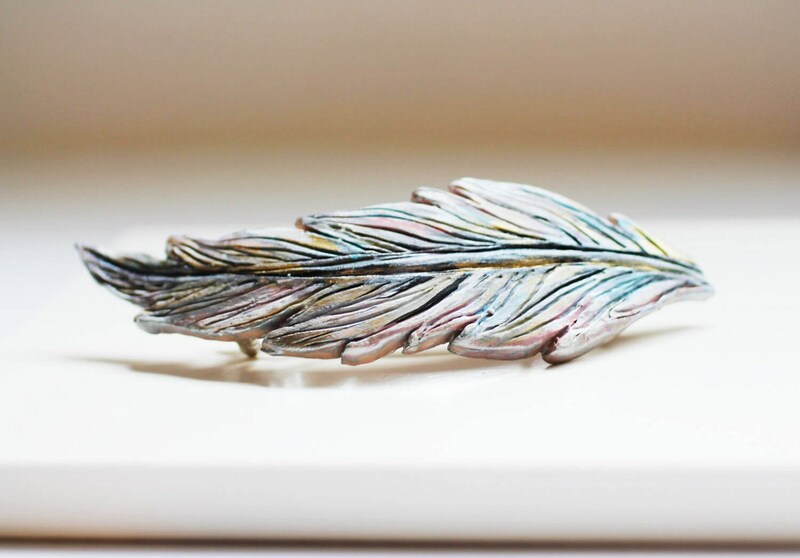 Our Feather hair clips are handmade from polymer clay. Each piece is hand cut, then sculpted to add texture and dimension. 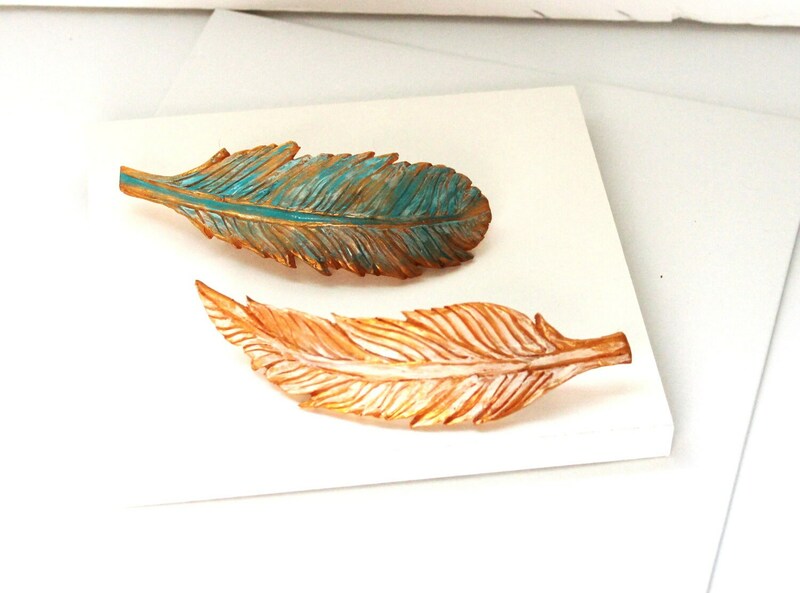 After baking, the barrettes are hand painted with non-toxic acrylic paint and embossed with bronze glaze. Instantly add a touch of the dramatic to any outfit. My clip/barrettes are Light weight and comfortable. This clip is the largest barrette clip that I sell, it will easily hold thick hair, medium and long lengths. 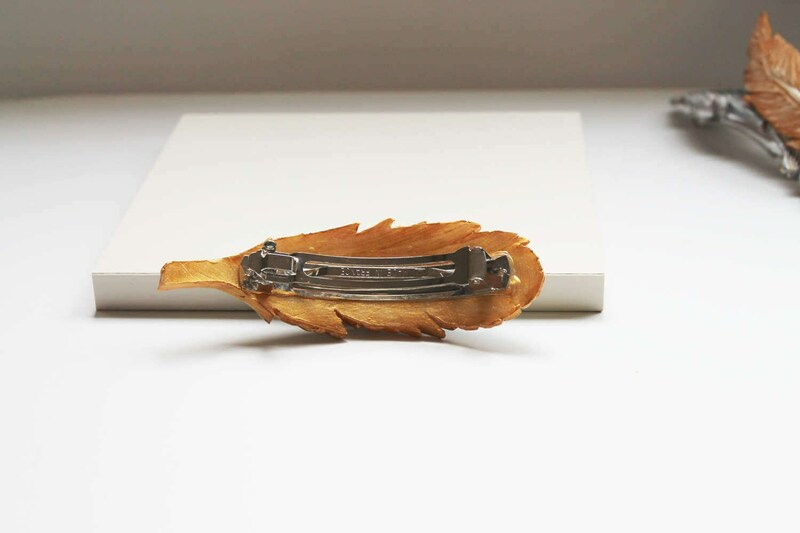 This French Clip measures about 4" long by 1.5" wide.